For this 5th W.I.M. Mix we are really proud to host the Belgian Crew NYMM (Not Your Mainstream Music), an alternative music organisation which promotes young & local artists with a weekly podcast and organise events with live gigs and Dj´s. W.I.M. MIXES 004 – Gabriel A. For the 4th Podcast we have a selection by Gabriel Armenta, a great friend of the program, who hypnotizes us with a cosmic, dark, acid & slow motion Disco Set. Gabriel chooses some tracks with a vintage touch, plenty of retro synths and cosmic atmospheres that transport the listener to another dimension. Enjoy! … W.I.M. 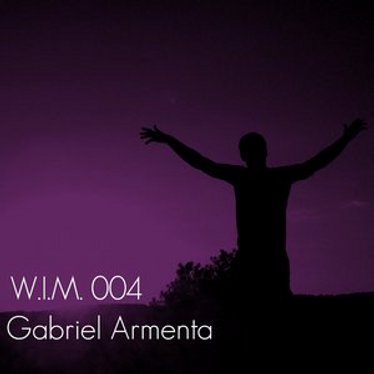 MIXES 004 – Gabriel A. For this 3rd Mix, W.I.M. co-founder Alexandra (through her alias Ayalen) enriches our project with a deep and intimate Mix. Cosmic and dreamy electronic sounds with ethnic and dark rhythms, finishing with some outlandish surprises. In this 2nd W.I.M. Mix, our talented friend Raeioul prepared for us a melodic Set transporting us from deep melancholic to the highest ecstatic places. To start with this project, we couldn´t have a greater selector than our dear Alexander Gnädinger. We no longer have him in Madrid, but fortunately we can still enjoy his wisdom, variety and well curated selection on this delicious mix.